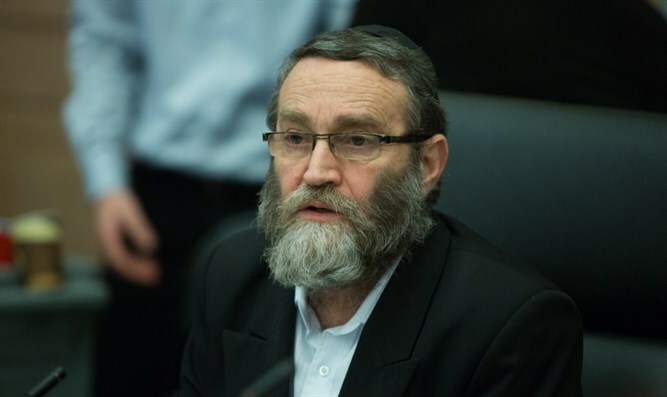 Haredi parties debate supporting bill allowing death penalty for terrorists. The Knesset is expected to hold on Wednesday a preliminary vote on the law allowing the death penalty for terrorists. However, it is not clear that the haredi parties will support the law. If passed, the law would allow military courts to sentence terrorists to the death penalty with a majority of two judges. Currently, the death penalty is only allowed if the judges unanimously agree. The bill was initiated by Defense Minister Avigdor Liberman's Yisrael Beytenu party, which opposes the haredi parties' "Supermarket Law." The haredi parties are therefore debating whether they should support Liberman's law or not. In addition, despite the fact that Israeli Prime Minister Binyamin Netanyahu publicly supported the terrorist death penalty bill a few weeks ago, several important figures have opposed it, including Shabak (Israel Security Agency) head Nadav Argaman and Attorney General Avichai Mandelblit. It is expected that if Netanyahu approves the vote on the law, the haredi parties will not torpedo it. The Supermarket Law would grant the Interior Minister the powers to disqualify municipal bylaws promoted by the local authorities, effectively shutting down supermarkets that had been operating on the Sabbath with permission from the local authority. It would not include Tel Aviv.